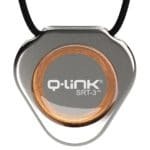 Q-Link makes some of the most popular EMF protection products on the market, such as their pendants. 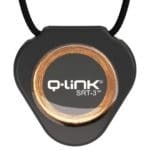 I get asked all the time what the best EMF protection jewelry and products are, so I thought it was time to finally make a complete Q-Link review. In this article, I want to talk about Q-Link as a company, how they’re products work, which ones may be best for you, and where you can buy them. Want to shop any of the Q-Link products I talk about in this article? Check out the Q-Link official website. Q-Link Product Review – How Do Q-Link Products Work? The way that Q-Link products work is actually quite interesting, but it does make sense to me on an intellectual and spiritual level. To start with, they describe the fact that physical science has proven that every material and object on the planet, as well as every living being, has its own unique natural resonance frequency. These frequencies are defined by the physical structure of the object or creature. According to Q-link, when any object or creature comes in contact with a frequency that closely matches that of its own frequency, it literally becomes stronger, more stable, and has more coherent energies. This harmonious resonance effect occurs with humans as well, but we often interpret it as just good feelings. For example, spending some quality time with a close and trusted friend we find ourselves feeling more at peace and relaxed. 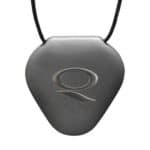 So Q-Link products use science and research to target this same experience and powerful energy through a group of proprietary crystals and a crystalline core they call Sympathetic Resonance Technology (SRT). That is why you’ll see SRT mentioned in so many of their products, it is a unique crystal core that is capable of harmonizing with your own resonance to strengthen and protect the body. Q-link mentions that all of their products are specifically programmed with proprietary natural frequencies that the body is able to recognize and use as natural energy. When you are out in nature, you often feel at peace, grounded, alive and full. This is not only from the ion exchange and anti-oxidant effect of grounding but also from the harmonious resonance nature provides. Q-link products are able to offer a similar effect. They also mention that that because it takes less energy to maintain a resonance than it does to achieve it, the more you wear and use your Q-link products, the better they are likely to work for you. Is Their Proof That Q-Link Products Work? As you may know from many of the articles here on EMF Academy, I really prefer, and only recommend, products that have real research and science behind them. The market is becoming completely saturated with new EMF protection products with absolutely nothing behind them. These products usually don’t have any published research, studies, patents, or even claims as to how and why they work. That is why I like Q-links products. Q-link has been around for nearly 40 years, and have many studies and peer-reviewed research on their products. In fact, you can read and review all of this research on their website. Perhaps even more convincing is the thousands of published, real testimonials and reviews of their products. You can view all of these testimonials, including many from athletes, celebrities, and known figures in the health and wellness community as well as thousands of others. The SRT technology inside Q-Link’s products has shown to be effective in experiments and research at the University of California Irvine, University of Vienna, Imperial College London, and many other places. Ok, now that we’ve talked a little bit about how and why Q-Link products work, let’s take a look at the individual products. See the Amazon listing here. This is absolutely the company’s flagship product and best seller. Featuring the third generation of their Sympathetic Resonance Technology (SRT-3), these pendants are well designed to fit with just about any wearer. The pendants themselves were designed by an artist named Neville Brody, and feature a simple, clean, slim profile. You can also purchase the pendant in 24 different colors. The product comes with a 36″ adjustable comfort cord, but you are welcome to use a cord or chain of your choice as well. This is the simple version of the product, and what I strongly recommend, as you do not get any kind of added protection with the more expensive necklaces. The acrylic version of the necklace is the most affordable version, and you also get to select between 24 different colors. However, if you want to have the same level of protection that Q-link products provide with the style of more expensive metals, one of these others might be right for you. – This is actually a very attractive necklace. 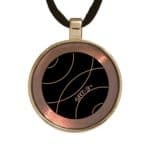 It has the same design as the simple acrylic one, however, it is made entirely out of stainless steel except for the SRT-3 ring which is laser-etched into the necklace. At about 6 times the price of the acrylic version of Q-Link’s pendant, the titanium version is certainly not budget friendly. However, this is an absolutely beautiful necklace. With an extremely slim profile and dark gray titanium finish (reminds me of the new Apple Mac Pro finish), this thing is a stunner. If affordability was not an issue, this is the one that I would wear myself as it’s my personal favorite. – There are a few choices when it comes to the silver version of the Q-Link SRT-3 pendant, including a simple round version, the pebble design featured in the image, or even a silver cross. I personally like the “pebble” design. It was professionally designed Dominic Walmsley, and has a very appearing contour. Gold – The gold Q-Link pendant is absolutely beautiful but comes with an enormous price-tag attached. Professionally designed and made out of 14k gold, the pendant understandably is made to order, so you should expect a wait time of 1-5 weeks. In addition, sales of the gold pendant are final, no returns allowed, so I would highly encourage you to try out the Acrylic version first before even considering purchasing the gold version, as you are unlikely to get any better results for the added price tag. That sums up all of the different versions of the Q-link pendant that you can buy. Although there are varying qualities and levels of attractiveness, I’d certainly highly recommend you start with a basic version of the pendant, and as you use the pendant and see how it improves your daily life, consider upgrading. If you’re looking to purchase any of the Q-link products i’ve mentioned here, you can get them on the Q-Link official website. Alright, now that we’ve covered the Q-link pedants, let’s take a look at the bracelets. I won’t go very in-depth into the bracelet’s, as they are essentially just an alternative option to the pendant. Although Q-link mentions that the bracelet makes a good compliment to the pendant, I don’t see any evidence that using both would provide any additional benefit, so it’s more about selecting which you would rather wear. That being said, they do have a few nice bracelet options, with the simplest and least expensive option being the stainless steel. There is a ladies and men’s design of the stainless steel, with the men’s just having a slightly more masculine design. There is also an “executive” version of the bracelet, which is primarily just a different design than the stainless steel version. The executive women’s version comes with some cubic zirconium stones inlaid into the bracelet for a nice effect. 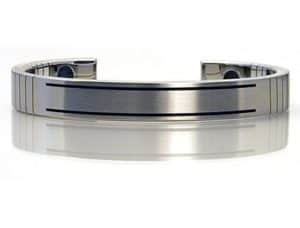 There is also a titanium variant of the bracelet that is quite nice. The bracelet is unisex and comes in either a “polished” finish or a “black” finish, I personally like the black finish. All of the bracelets come with adjustable sides that should allow them to fit just about any wrist. If the look or idea of the pendant does not entice you, a bracelet could be a good option. You can purchase the bracelet on the Q-Link official website. 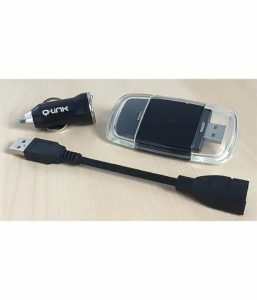 Q-Link Clear is the companies device protection product. 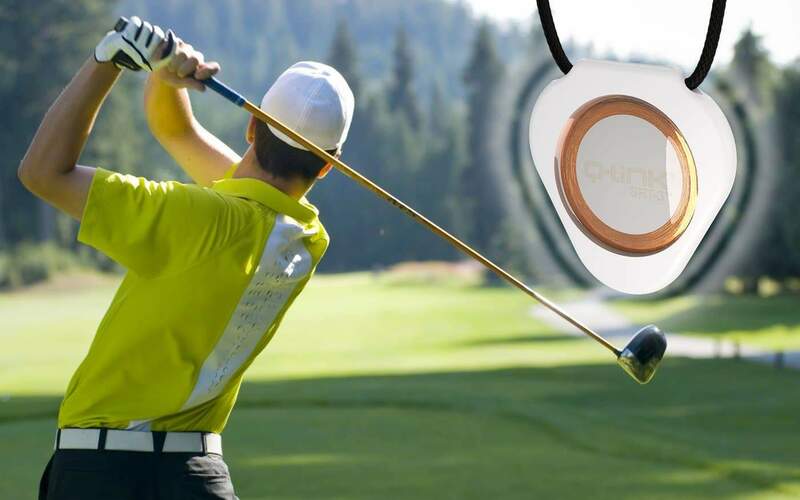 It is an extremely small half-dome disc that you stick to any device that you feel you need protection from, such as cell-phones, tablets, game controllers, etc. You are supposed to place it on a device in a location that your skin will come in contact with while using the device. They say that using these in conjunction with a wearable Q-Link product such as the pendant or the bracelet can have some added benefits. The “Clear” comes in acrylic and stainless steel variants. My Thoughts: I understand and believe in Q-Links SRT technology, and that is why I often recommend the pendant. However, the danger from cell-phones really can’t be understated. 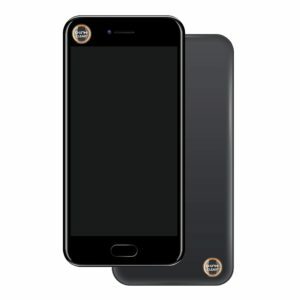 So although I do believe that the Q-Link clear might very well work, I’d still strongly recommend you get a quality EMF protection cell phone case. Take a look at my recommended products page for my personal recommendations. You can also buy the Q-Link clear on the Q-Link official website. The Q-Link Nimbus an interesting and unique product, however, I find myself wishing that there was more specific information about how it works, and why it utilizes USB to run. Essentially as you can see in the image, the Nimbus looks much like a slightly larger flash drive and is intended to be plugged into your desktop or laptop computer. However, the Nimbus does not only provide protection from the computer itself but claims to provide a 30-foot Omni-direction field of SRT to help protect and energize an entire room. I understand and believe in the concept behind Q-links proprietary Sympathetic Resonance Technology (SRT), however, I wish they provided more information about how a small USB device is able to create a larger omni-direction field, there seems to be a little bit of a lack of information for this product that I hope they expand upon in the future. I also wish that for their room protection they had found a different way other than a USB drive because it sort of limits your options for what room you can put it in. It makes sense for your home office or workplace, but if you wanted to use this in your living room, or bedroom, or nursery, etc. 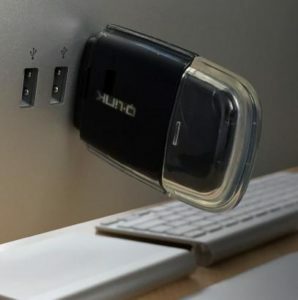 you’d have to find a way to get a computer or another device you can plug USB into that room. This, of course, comes with its own issues, I don’t personally want a computer in any of those rooms, so you can see the disconnect, at least for me. The only place to buy the Nimbus is on the Q-Link official website. If you’re looking for even more protection, Q-link also has their “Stratus” product. The appearance is exactly the same as the Nimbus, except for the laser etched word “Stratus” you can see in the image. They say that the difference is that the Stratus has a new “dual oscillating core” that instantly generates a more powerful 45-foot omni-direction field of SRT-3 instead of the 30 foot you should expect with the Nimbus. The price difference is not that large between the Nimbus and the status, so if you have a large room this might be the product for you. You can purchase the Stratus on the Q-Link official website. If this is a product you’re interested in, you can also purchase it in what is called the “Trek” package, intended to offer the same protection in your vehicle. It comes with an adapter for your car lighter as well as a 6-inch cable so that you can use it on the go. Other than the adapter and cable, I believe the Q-link itself is the same. You can purchase a large number of accessories for the Q-link products on the Q-Link official website including a wide variety of chains for the pendants, different colored cords for the pendants, additional flex cable for the Nimbus, etc. Ok, now that we’ve looked at all of the products that Q-link has to offer, and talked about how they work, let’s take a look some testimonials. You can view thousands of reviews on the Q-Link official website, however, for the purpose of this post, I’ve hand-picked some from notable celebrities, doctors, and athletes you may have heard of. “The QLink appears to act as an interface between the (body’s) energy fields, effectively as the conductor of the orchestra. The data is sufficient and strong enough for me to wear the QLink, and I’m looking forward with excitement when future research will validate what this initial data is suggesting. And I must say I feel quite invigorated wearing it.” – Deepak Chopra, M.D. 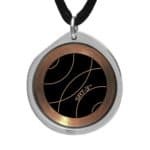 The QLink Pendant creates higher energy, greater endurance, improved focus, and concentration – all essential for running a marathon.” – Stu Mittleman, World Champion Long Distance Runner, and Record Holder. Overall I think Q-Link makes some fantastic products, and I really do believe in the SRT-3 technology and it’s ability to protect and energize the body. I personally think the best product for most people is the pendant, however the bracelet is a great alternative. I also really like the idea behind the “Clear” and “Nimbus” products, but I’ll also be really happy when the company puts out a bit more information or studies specifically about how these devices work to push the SRT-3 field. This, in my experience, is just about the best money-back guarantee you’ll experience from products in this field. I truly hope you enjoyed my review of the Q-link line of products, if you did, please consider sharing!